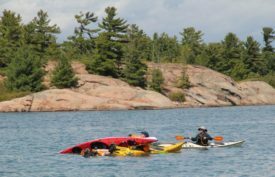 We choose our coaches at Ontario Sea Kayak Centre with the utmost care. 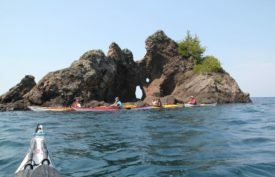 All of our kayak instructors are skilled and passionate paddlers. 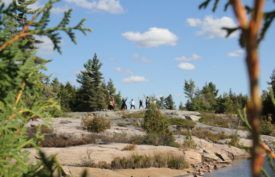 They are all Paddle Canada certified instructors and have their Wilderness Medical Associates training. They are excellent communicators, they are thoughtful and kind, and most of all they know how to have fun on the water. We know that people learn best when they are relaxed, having a good time and most of all laughing. We strive to create a classroom where you will thrive. The culture of OSKC is one of acceptance and encouragement. 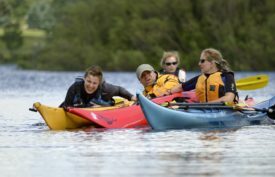 We all started as brand new beginner kayakers and we remember that first foray into kayaking. 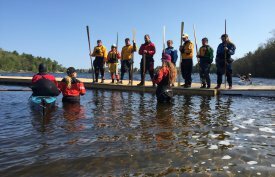 We share everything we can with our students to help them become independent, skillful kayakers. 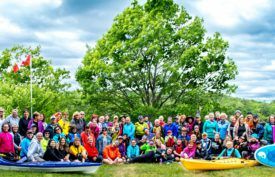 We’re available every step of the way to answer all of your questions, build all of your skills, and share our wonder of nature from the seat of a kayak. 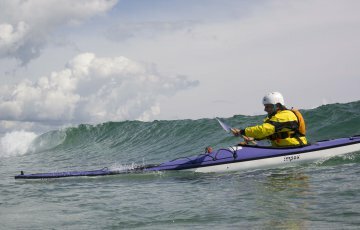 James started kayaking as an 18 year old surf kayaker off the coast of the Isle of Wight, England. 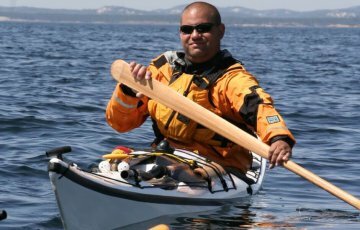 After immigrating to Canada in 2003 he transferred all of this surf skills into a sea kayak. 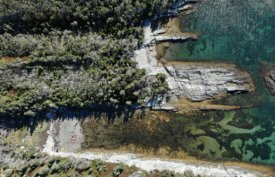 Dympna is co-owner and operator, of Ontario Sea Kayak Centre along with her partner and husband James. 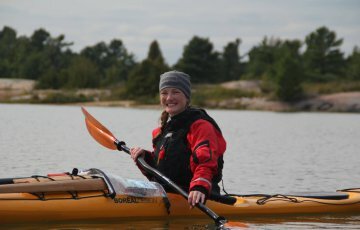 She loves sharing her craft with others through her coaching on skills courses and through her guiding while on kayaking trips. Kyle Steward is one of our newest instructors and his passion for the sport is infectious. 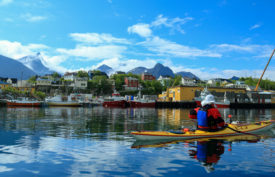 Kyle is a very skilled Greenland roller and kayak instructor. 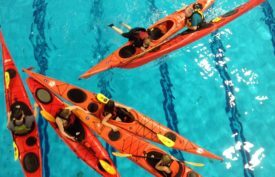 He has his Paddle Canada Level Three Skills and is a Paddle Canada Level One Instructor as well as a Paddle Canada rolling instructor. 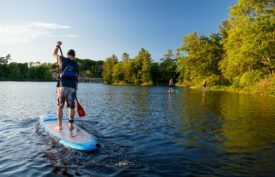 Brett Kril is one of our Level One instructors and teaches many of our courses at Guelph Lake. 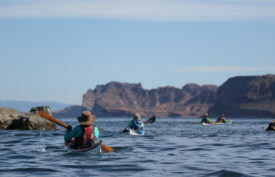 Brett is in his fifteenth year of kayaking and still loving any time he gets on the water. 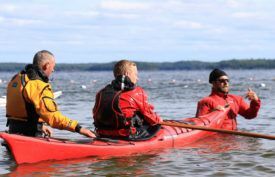 He is a Paddle Canada Level Three skills paddler and a PC Level One Instructor. Brett’s other passion is Greenland Rolling and coaching. 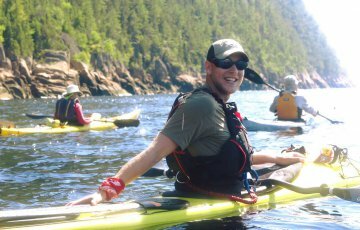 Kris is a long-standing member and certified instructor with Paddle Canada and ORCKA as well as a Wilderness First Responder and Swift Water Technician. 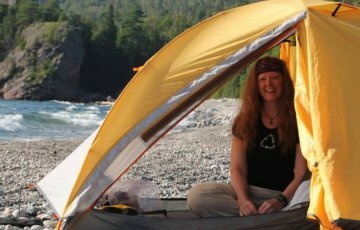 She enjoys sharing her passion for being outdoors and teaching others how to be safe and comfortable while seeking new adventures and pushing the envelope, just a little. 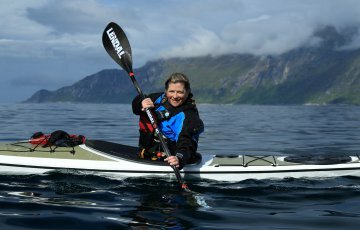 Her motto – ‘life should fit into a kayak’. 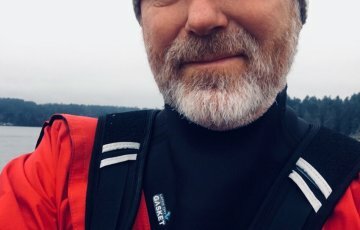 I love helping people find their connection to their kayak… Yoga for Paddlers is a great way to find how to move and be one with the boat. Mike is passionate about the outdoors and feels most at home on and around the water. 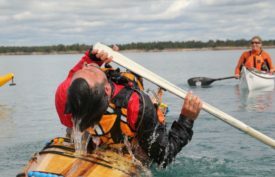 He is a Paddle Canada Level Three skills paddler and a PC Level One Instructor. 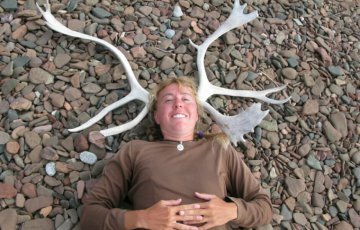 Jenn Compeau is a Paddle Canada Level One Instructor, a wilderness guide and has her Paddle Canada Level Two Skills. 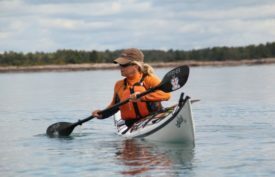 She is a talented Greenland Roller and is constantly working on her own skill in a kayak. 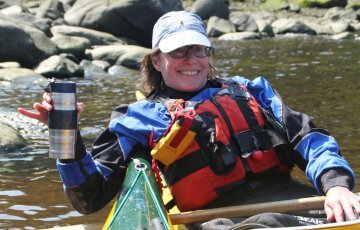 We recruited Jenn the first time we met her because of her natural skill in a kayak, her enthusiasm, and her amazing personality. You can’t help but smile around Jenn and we are thrilled to have her on our team. 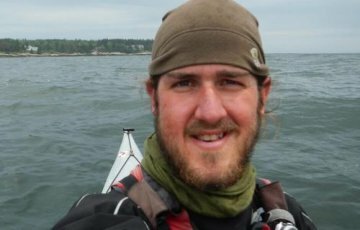 Scott Rosborough has been paddling and teaching for Ontario Sea Kayak Centre for eight years and is one of our best rolling instructors. He is a Paddle Canada Level Two Instructor, A Paddle Canada Rolling Instructor and he has his Level Three Skills. 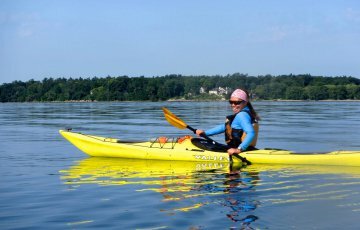 As a certified yoga teacher and a Paddle Canada Basic Sea Kayak and SUP instructor, Marissa's biggest thrill is helping others bliss out - and find their JOY! 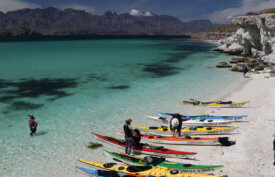 Ian started paddling with a Greenland paddle because it was easier to make that than a kayak he was dreaming of. 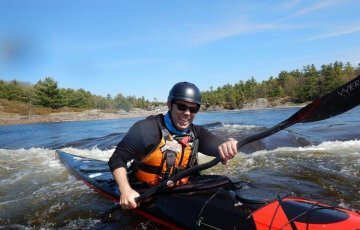 He is currently a Level 2 Instructor, a Paddle Canada Rolling Instructor and has his PC Level 3 skills. 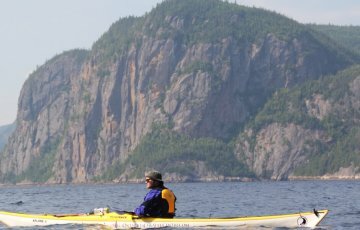 Sue Vokey has been paddling for most of her life, growing up in Cornerbrook, Newfoundland. 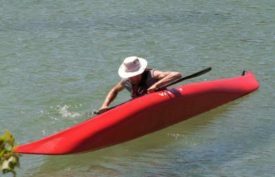 Sue is a Paddle Canada Level One Instructor and she has achieved her Level Three Skills. 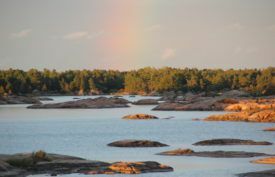 Her favourite thing to do in a kayak is to get lost...well, not actually lost, just lost in the beauty of the wilds. 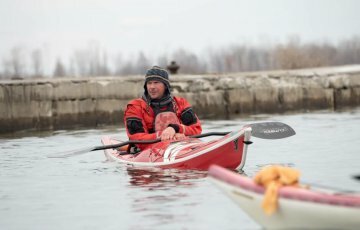 Jack has been immersed in the kayaking industry since he was 14 years old and as Dympna’s son, is an honorary founder of Ontario Sea Kayak Centre. 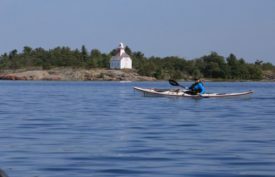 Growing up in the Ontario Sea Kayak Centre family he has been paddling, rolling, tripping and teaching from a very young age. 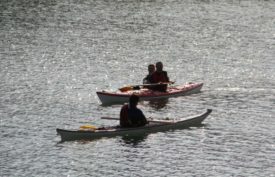 Jack is now a very talented paddler as well as a patient and enthusiastic coach. While Jack is now teaching and guiding in British Columbia, he will always have a spot open for him at OSKC. 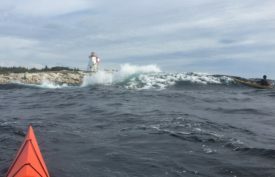 Erik is forever drawn to the water and is truly in his element when paddling and coaching. 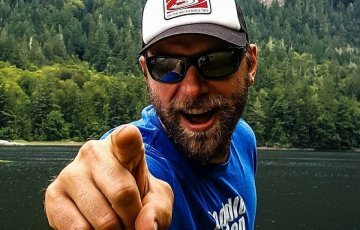 He is equally passionate about sharing the paddling experience through instruction, coaching, guiding, mentoring and building a healthy paddling community. 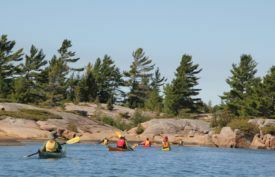 Tim began his kayaking career as a guide and ACA instructor at Woods & Water Ecotours in the Upper Peninsula of Michigan when he was in college. 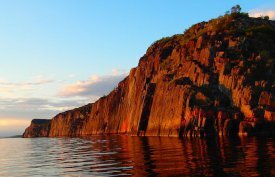 He cut his rough water teeth on the rocky shores of Lake Superior. When he's not teaching on the water, Vince is up to his elbows in hot water teaching at a world-famous (okay, regionally famous) culinary arts institute. 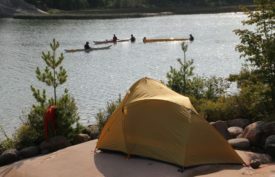 He enjoys kayak touring, camp cooking and sharing a laugh with his students. 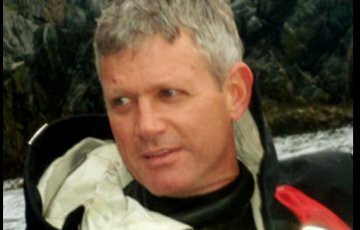 Santiago has been involved in sea kayaking since 2005 as a commercial guide, coach, instructor and committed paddler in personal expeditions. 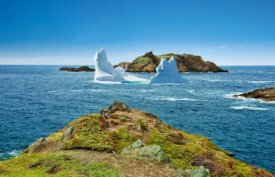 His paddles –literally- had taken him to coastlines far and away like the Baja California Peninsula in Mexico, the Inside Passage in BC. 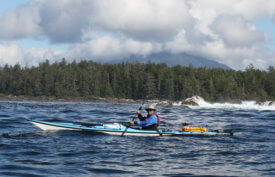 David Johnston has been introducing people to the sport of sea kayaking for the past 15 years. 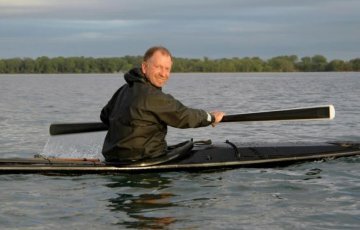 He is a senior instructor trainer with Paddle Canada and teaches for several paddling schools Ontario. 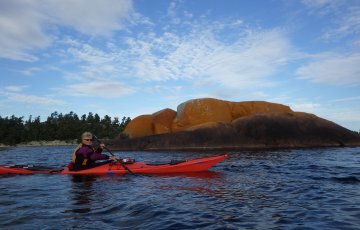 James is an international Greenland kayak instructor local to Victoria British Columbia. 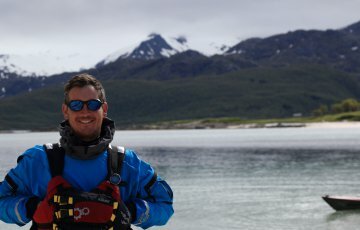 His passion is shared around the world and it has taken him to some amazing places, recently back from Chile where he taught at the very first sea kayak symposium there. Virginia has been paddling all her life and sea kayaking since 2005. 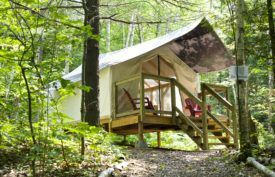 She loves any kind of adventure on the water—whether it is surfing long boats, splashing down whitewater rivers, practicing a new roll or J-stroking across a quiet pond. 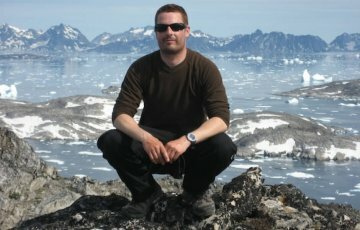 Greg is the past-President and founder of Qajaq USA, the American Chapter of the Greenland Kayaking Association (Qaannat Kattuffiat). Greg loves to teach and has coached across the USA and worldwide. 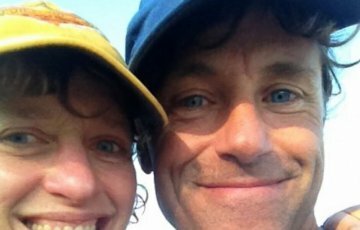 Alec and Sharon Bloyd-Peshkin are paddlesport coaches from the Chicago area known for their playful and accessible coaching style. 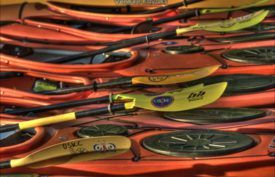 They are the owners of Have Kayaks, Will Travel, a paddlesport coaching business that organizes trips and courses. Lee has a passion for teaching and loves to see the “Aha! Moment”. 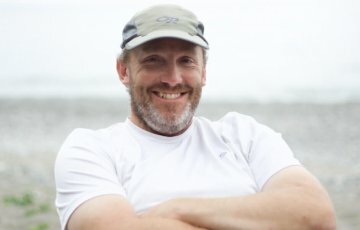 With a background in Education, Lee’s approach to coaching paddle sports addresses not only the physical movements and techniques but the mental game as well. 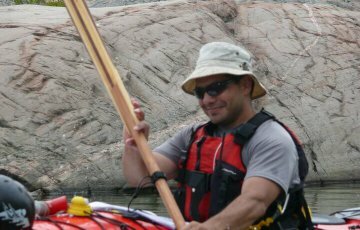 As an avid marathon paddler, Mark is always looking to refine the forward stroke and loves the efficiency of the Greenland Paddle, a shout-out to Traditional Indigenous Knowledge! 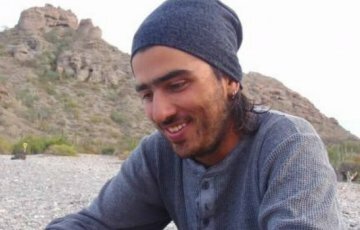 A teacher by trade and lifelong learner, he also collects paddling certifications. 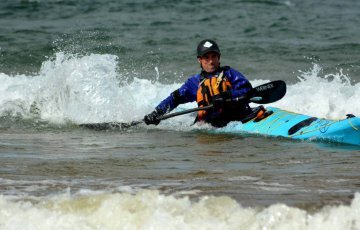 Amongst his collection, PC Level 3 Sea Kayak Skills and is a PC Level 2 Instructor and Kayak Rolling Instructor. 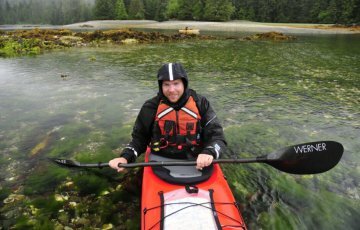 Ray is a Paddle Canada Instructor and Instructor Trainer in sea kayaking, and has certifications in the BCU and ACA systems as well. 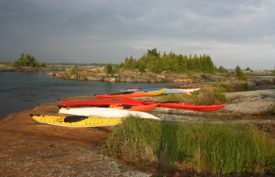 He is actively involved in Paddle Canada as an Ontario representative on the Sea Kayak Program Development Committee.